I recently met with a client who is doing a massive renovation and addition on her Bergen County NJ home. We had a consultation to discuss ideas for the kitchen and how it relates to the other rooms on the first floor. One of the spaces included the foyer which will be tile instead of hardwood. The rooms that are directly next to the foyer will be hardwood so it is important to select a tile that will coordinate well with the wood. This meant not picking a tile that looks like wood as well as any tile that has the same brown tones as the wood. I think grey slate like tile is a great option that is classic and neutral. To make it a little more interesting I suggested laying it out in a herringbone pattern and doing light walls to really make the foyer light and airy. When I got home I pulled up some inspiration photos to show my client what I type of look I was envisioning and I can't wait to see her home transformed over the next few months! 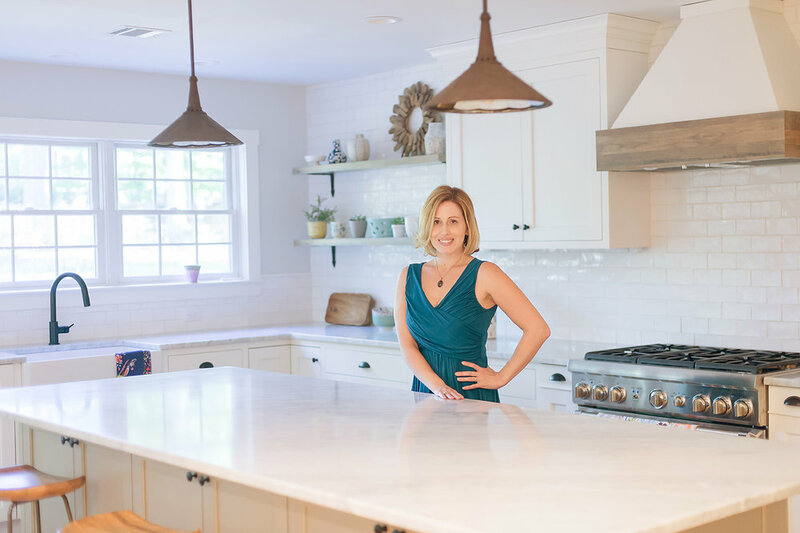 Christie Adams Design is a Bergen County interior designer and decorator based in Wyckoff New Jersey. If you are in Northern NJ looking for a decorator to help make your house a home, reach out so we can chat about your project!